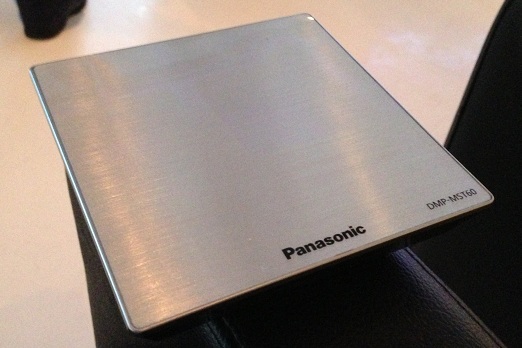 Panasonic has always offered a strong family of Blu-ray players, and this year is no exception. The company has introduced four new players in total: The DMP-BD79 ($80), DMP-BD89 ($100), DMP-BDT230 ($130), and the DMP-BDT330 ($200). All four are smart players with access to media streaming apps such as Netflix, Hulu Plus, Amazon Instant and VUDU, and all four come with built-in WiFi. The top two BDT models add on passive 3D support, expanded app selection, Miracast support for sharing media from mobile devices. We’re particularly impressed with the BDT-330. It offers excellent picture quality, Viera Connect, 2D-3D conversion, 2K 4K upscaling, a 32-bit/192kHz DAC for pristine audio, and a new metalic design that looks really sleek (a departure from cheap looking plastic should have transpired years ago, but better late than never). This is probably the best value in a high-end Blu-ray player at this time, unless you swing the extra $300 for an Oppo BDP-103, which we absolutely adore. While we understand the appeal of a Panasonic-branded media streamer for those with older HDTVs without Viera Connect, Panasonic’s DMP-MST60 ($100) and DMP-MS10 ($80) media streamers are far more than fashionably late to the party, and disappointingly light on content. Panasonic’s newly adopted aesthetics look great on this new over-the-top streamers, but they’ve got nothing on the Roku 3 when it comes to what counts. The DMP-MST60 does support 3D playback and Miracast mirroring and offers the same streaming options available in Viera Connect, but that’s a drop in the bucket compared to the 700+ channels available via any of the Roku devices. The Apple TV, while not our favorite web streaming device, still offers quite a bit more than Panasonic’s maiden voyage into the seas of streaming media; plus, it can be made to be a whole lot more fun if you jailbreak it. We just don’t see how Panasonic is going to sell a lot of these devices unless they’re bundled with their lower end HDTVs. As a stand-alone device, we just don’t see the appeal. 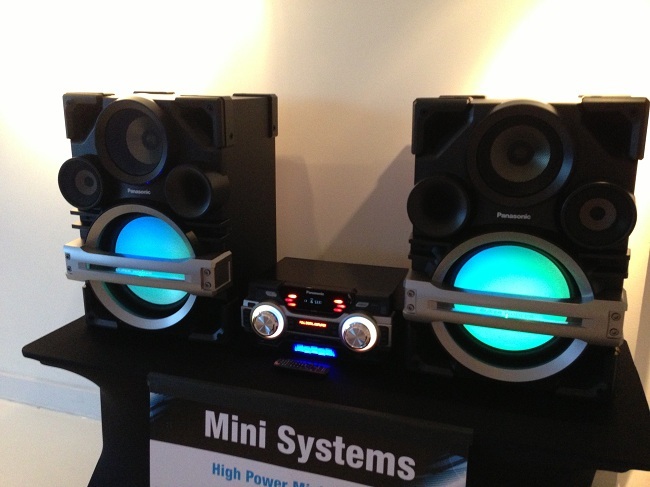 Panasonic had a wide variety of new audio products at the press briefing, including the rather impressive looking SC-NE5 and SC-NE3 Bluetooth-enabled wireless speaker systems which support AirPlay and DLNA devices, but all of that was rendered moot by the SC-MAX650 mini-stereo system ($1,300) which offers 2,300 watts, glowing bass drivers, a CD player, inputs for your smartphone or iPod, and enough dripping machismo to make your neighbors really mad. The product is apparently really popular in Latin America and Panasonic has decided to introduce it here for the first time.